When I arrived in London’s Heathrow Airport, I experienced one of the most significant culture shocks of the trip. I went to the cashier, prepared to pay for my salad and smoothie, he spoke to me, and I, having no idea what he said, froze in confusion. Now this confused freezing was actually a common feeling for me on the trip, especially in Prague where Czech is spoken. 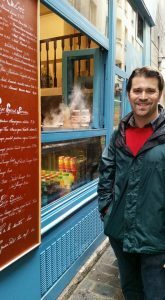 But in this case, the shock I experienced was when the cashier, seeing me frozen, repeated the price for my lunch in English and I realized that he had been speaking English all along—not German, Hungarian, Italian, Czech, or French—and I had not understood a word he said. Because of the English language and the many cultural links between the US and the UK, I had expected London to be the most familiar country of any we visited. However, as evidenced by my embarrassing encounter with the British cashier, London’s very familiarity was what made it feel so strange. So familiar—and yet lorries and taxis barreled down the “wrong” side of the street and people spoke with accents that could have come straight out of Downton Abbey. Still, London is much closer to home than Prague (our previous stop)—a small city pierced by medieval towers, still learning to shake off the shadow of oppression (by the Nazis and the Communists) in its recent past. London, instead, is a bustling modern city, once the crown jewel of a vast empire, and still one of the wealthiest (and most expensive) cities in the world. 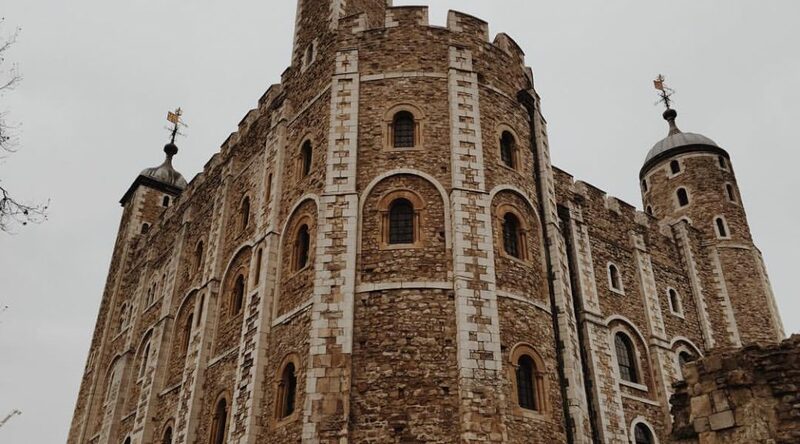 Here, instead of boasting an historic centre, history is to be found in small pockets amidst the whir off traffic and the glare of skyscrapers—Westminster Abbey, the Tower of London, St. Paul’s Cathedral, the Globe Theatre, and so on. This contrasted with Prague, where there was a definitive old part of town where the highlights are the statue-lined Charles Bridge and the astronomical clock tower, a device so spectacular in its day that the mayor of the town had the clockmaker’s eyes gouged out just so he couldn’t build another one anywhere else. Or so the legend goes. Speaking of gore, the Tower of London is an excellent place to go if you want to see an overpriced gift shop located in a former dungeon/torture chamber and hear a tale of the most botched execution in English history. Enough said. 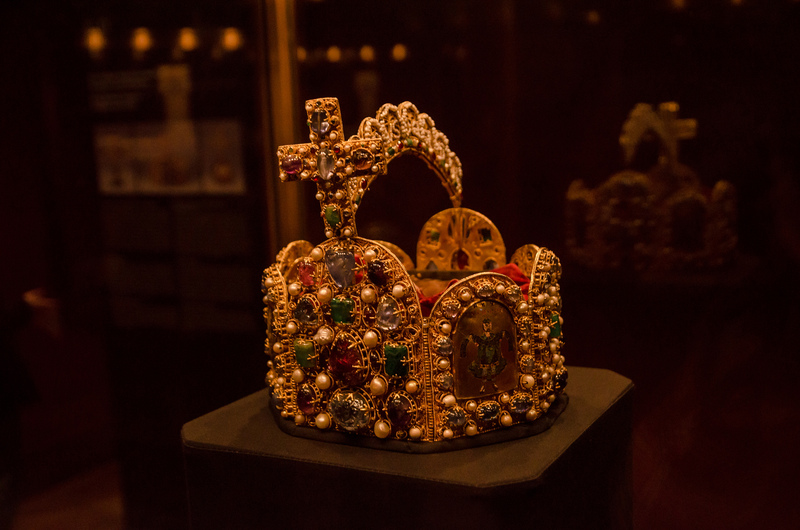 My favorite part of the trip to the Tower of London was probably when we got to see the crown jewels. They funneled us and all the other tourists into a dark room, then stuck us on a conveyor belt that scooted us past all the crowns of England in order—each of them imprisoned in their own glass box with small lights hitting their enormous jewels in all of the right places—diamonds and rubies and sapphires, all larger than your eyes. London is soft on the eyes, by the way, often a hazy grey. The only morning we ran into rain was when we went to Oxford. Despite the rain, this was a thrilling day for me because we got to eat lunch at the Eagle and Child, where I saw the room that the Inklings, Tolkien and C.S. Lewis’ writing club, used to meet! Another thrill for the nerdier portion of our group was seeing Ian McKellen (Gandalf in Lord of the Rings), Patrick Stewart (Captain Picard in Star Trek) and Owen Teale (Ser Allister Thorne in Game of Thrones) at a performance of No Man’s Land in London’s West End. This was a special performance for everyone because it was the first play since Vienna that was actually in English! We saw four performances in Prague, all of them in Czech, which we enjoyed because of their visual complexity—whether it was actors floating between stage and screen, puppets and books reenacting the Holocaust, or actors dancing around in bear costumes and traditional garb. In both Prague and London, we had the chance to see Shakespeare on stage, which was wonderful! Both performances were largely modernized in terms of set, costumes, and dramatic interpretation, but the language in London was still undeniably Elizabethan. While in London, we also visited a Renaissance style indoor theatre, a small venue built out of English oak and lit only by beeswax candles. I must admit, I got a bit nervous when the actors were dancing around the flaming candelabras. If you think about it, the cross-cultural experience is a lot like dancing around chandeliers on a dark stage—beautiful, exhilarating, but often downright nerve-wracking. But worth it? Worth almost catching your skirts on fire? Well, I’ve done the dance and most of the beeswax tapers are still burning. So I think, yes. Yes. I’d dance that dance again. Until next time, lovely Europe. Adieu. If you were given the opportunity to travel anywhere in the United States for 8 days, where would you go? As the month of November was coming closer, the members of the group were beginning to plan for more traveling. Despite the towns, cities, and countries the students have already visited, this experience would be none like the rest. 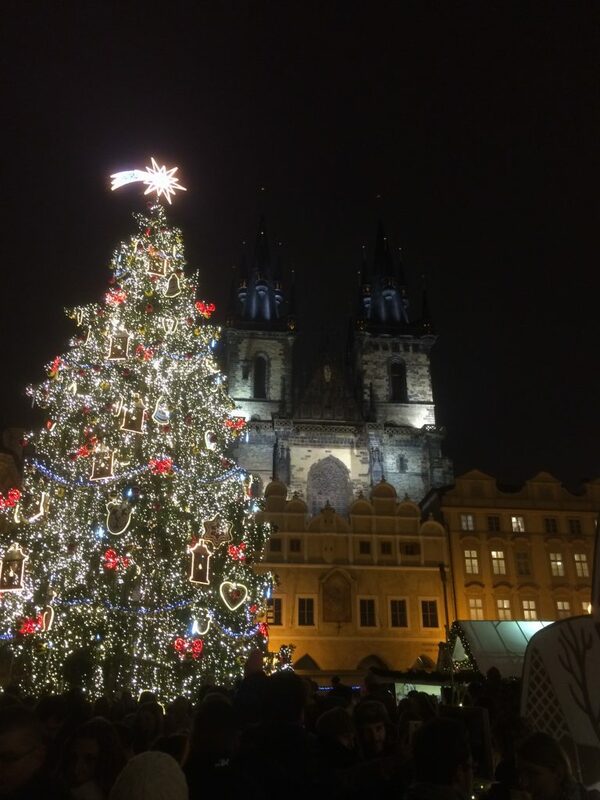 From November 5th till the 12th, the students and leaders of the group were allowed the opportunity to travel throughout Europe before meeting up again in Prague on the 13th. To help plan our adventures we were given extra per diem to cover any travel, housing, or food costs that we may encounter. In groups ranging between three and six people, and with some traveling solo, the students chose destinations of their choice and traveled by plane or train. For most it was a relaxing retreat from the city life and busy day to day schedules, yet students did experience some stress on the way. Nonetheless, hearing stories from Ireland, Italy, and many other places reminded me how lucky we are to be on this trip. After a long speed train ride, four juniors landed at their rooftop terrace in the city of Rome, Italy. This group consisted of Michael Austin, Corey Hostetler, Colton Frey, and Thane Hostetler. While staying in Rome for four consecutive nights, the guys took in the Italian culture by exploring the historical city and seeing gorgeous views from their rooftop. A big highlight was attending an A.S. Roma verses Bologna F.C. soccer game. The guys enjoyed the game greatly while seeing the crowd react as Roma beat Bologna 3-0 with one player scoring all of the goals — a hat-trick! Indulging in local food was another highlight of Rome. 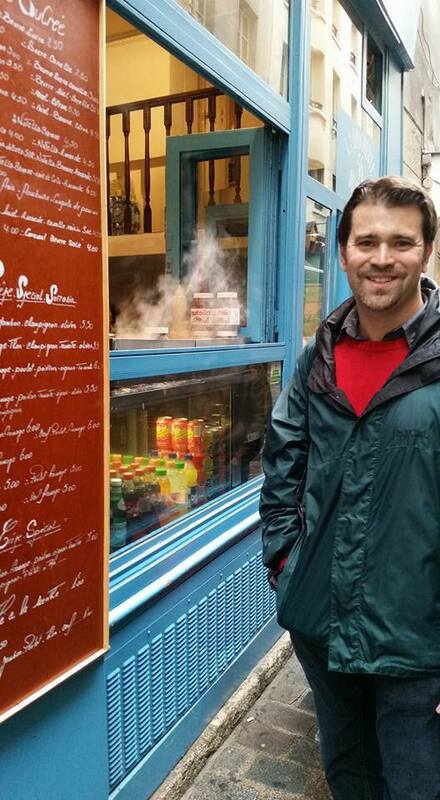 Finding gluten-free food options was challenging at times for Colton Frey during his stay in Vienna. Thankfully, Rome had a plethora of gluten-free food options that were both reasonably priced and delicious. Ironically, while experiencing the public transportation services in Rome, the buses there were inconsistent with their arrival times, unlike Vienna where bus schedules were efficiently timed. After Rome, the next destination was a country side farm house in the town of Hombrechtikon, Switzerland, just 40 minutes away from Zurich. Relaxing in the open country was a nostalgic moment as all of the guys grew up in small towns. Walking around the open areas and talking for hours was an excellent break from the expensive aesthetic of Zurich. Altogether, the guys enjoyed their time together in Italy and Switzerland. When the country of Ireland comes to mind, most think of unique accents, gorgeous countryside, and a vibrant city life in Dublin. In this case, a group of students experienced just that and more! For William Stanley, Hannah Cash, Celestyna Hoefle, and Alaina Bingler, visiting the Cliffs of Moher in southern Ireland was their favorite part of their experience. Being out in warmer weather and seeing the ocean was breathtaking. While others were exploring the coast, Esther Wallie-Ola Ajayi and Caleb Townsend stayed in the city of Dublin and enjoyed the local scene. The two of them went to restaurants and cafes around Dublin and had the experience of befriending students studying around the city. Conversations about everyday life, film, and music filled the room as well as Esther’s talented singing voice during an open mic night. The weather in Dublin was gloomy and cold most days so downtime at the airbnb (bed and breakfast) was a plus to unwind and reflect on the trip so far. For Celestyna, leaving the everyday life in Vienna was especially difficult because of the freedoms that she had and the memories that she made in Vienna. Getting used to new surroundings is a usual adjustment for her as she grew up for most of her life in Thailand, which is very different from American and European culture. However, every step of the way Cela was grateful and continues to grow as a person with every destination that she goes to. The great region of Tuscany was the first destination for Kaitlin Abrahams, Liesl Graber, and Jacinda Stahly on their grand adventure. 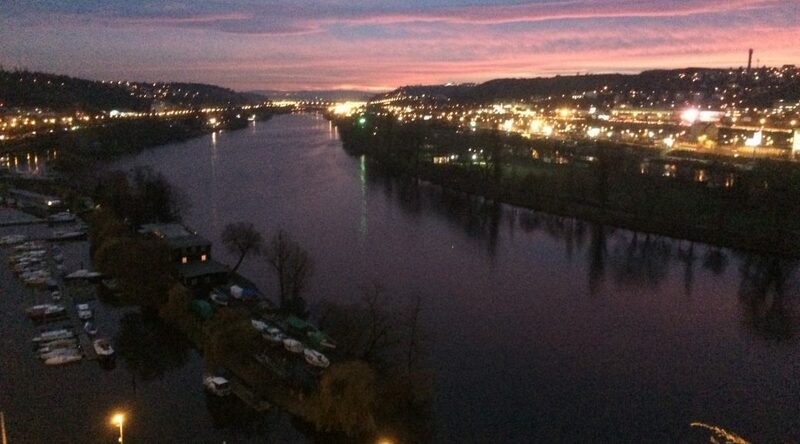 For three nights, the girls stayed in an airbnb with a top floor view that was perfect to see after a long day of fun. The first adventure was seeing an orchestra and not one, but two choirs perform the Lord of the Rings soundtrack live while the movie played in the background. Next, they went to see the famous sculpture of David in the Accademia Gallery. Between those two highlights, the girls enjoyed a lot of authentic Italian pasta, gelato, and coffee while even practicing their bartering techniques at the local markets! Using their charm, smiles, and the classic phrase “we are college students,” they convinced vendors to lower the prices of handmade purses and cashmere scarves, how lucky! After Florence, the girls had a rough train ride to Nice, France where they stayed for the other five nights of their free travel. The trip consisted of four different train connections and carrying bulky, uncooperative luggage around for about twelve hours. Once arriving at Nice, they were able to finally take a lift to their airbnb apartment and enjoy the small town by the Mediterranean. Nice is an excellent town for people who enjoy a special mix between French and Italian cuisine and beautiful pebble beaches. As Kaitlin Abrahams describes, “the water was icy cold, but some of the brightest turquoise water I have ever seen!” Their trip was a dream come true for them and the memories they made will always be remembered. This free travel opportunity allowed me to see my family in Konjic, Bosnia and Herzegovina again after five years. Growing up I visited Konjic several times so I was already a seasoned traveler when it comes to long flights. There I spent many days catching up with old friends and spending quality time with my grandmother in her flat. After free travel we all reunited in Prague, Czech Republic on the 13th of November where we all arrived safely to Sophie’s Hostel and told stories of our free travel experiences. Prague is a city known for its long history and amazing architecture and the group was excited to learn and reminisce on living together in a hostel again like in Salzburg. Thank you to everyone who has supported the leaders and students of this trip in any way. Without you none of this would be possible. Your constant prayers are greatly appreciated and we are excited to tell you what is happening next! Continue to follow our posts on Facebook and Instagram with the hashtag #adieuemu and we’ll catch up with you soon! This past week has seen our time in Vienna come to a close. For two months, we toured cathedrals, went to museums, and did our best to learn German. We regularly went to plays, including performances at the Austrian Burgtheater and the Vienna State Opera. We saw fringe pieces at Brut Wien and Tanzquartier. We made the occasional weekend trip, attending the ballet in Budapest and touring Paris. Commuting to class, finding our way through the streets, and rushing across the city for social gatherings were examples of how hectic life in Vienna could be. For some of us, the cosmopolitan rush of city life was enough of a cultural shift, language and societal differences aside. This is not to say that Sarah feels poorly about her home. 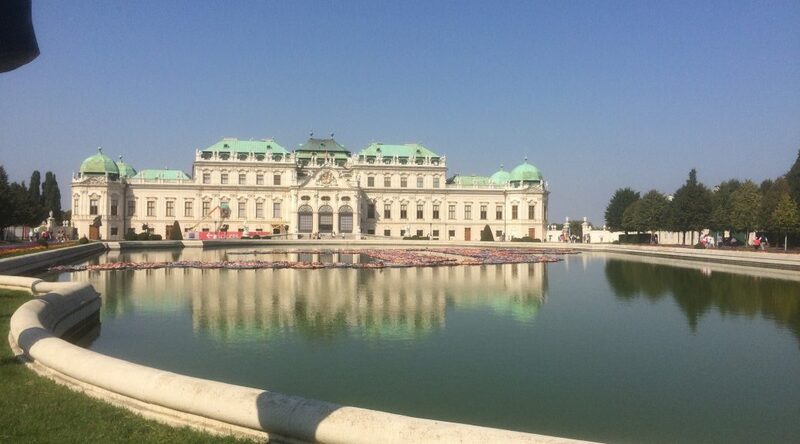 Our time in Vienna has helped us to appreciate different things about home that we had not previously realized. Sarah had to say this of her experiences away from home: “It made me appreciate the distance from all the noise and from the rest of the world. I used to hate that there was nothing to do in Holmes County, but now I’ve come to appreciate it because it created more space to spend time with family, playing games and not necessarily going out and spending money all the time.” Part of the point of a cross-cultural is to make us step outside of our comfort zone, step outside of our native environment, and seek a better understanding of global culture. This process inevitably changes how we think of who we are, and where we come from. “It also made me realize how much different the world is when you step outside of your world for a while. I’ve learned so much more about things I never even thought about at home, things I never thought existed to know. It really has broadened my view,” she said. Sarah is not alone in this feeling. During our time in Vienna, the group constructed a theater piece centered on the four stages of cultural adaptation in order to help process our experiences abroad. Stage 1 is known as “the honeymoon phase,” involving excitement with the new environment, superficial involvement in culture, and overconfidence in one’s ability to problem solve. Stage 2, also known as culture shock, hits when the novelty of a new culture wears off and the differences cause frustration. Stage 3 involves gradual adjustment, the point at which one can begin to fit into a new culture, despite not feeling fully comfortable. Finally Stage 4, when one feels comfortable and the culture feels like a second home. Our piece featured a series of sketches inspired by this framework, and premiered at the Brunnenpassage performance space, in Vienna’s Turkish district, on October 29. Keep up with the Central Europe Cross-Cultural group’s adventures on Facebook and Instagram using #adieuemu! 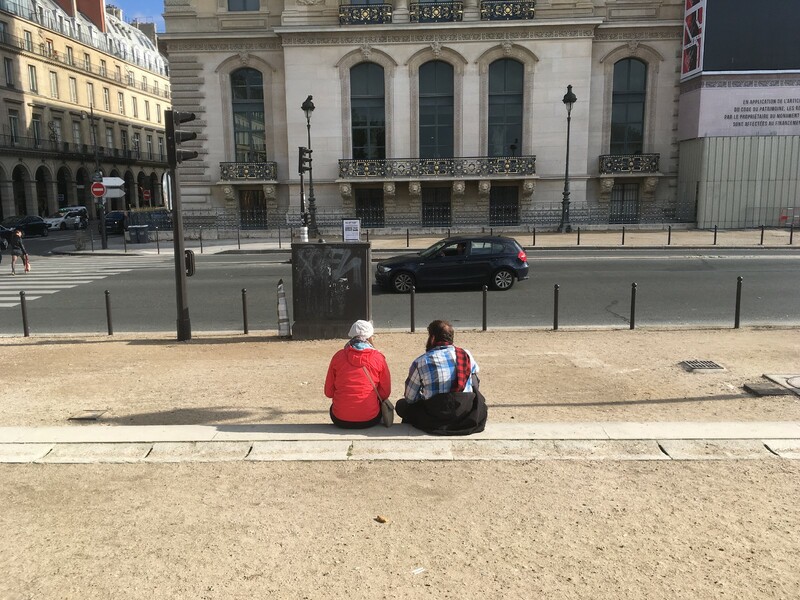 Over the course of this cross-cultural, we have had several different tour guides that have led us through different cities or specific areas. They each have their own little quirks and differences, but they all were good at their jobs. 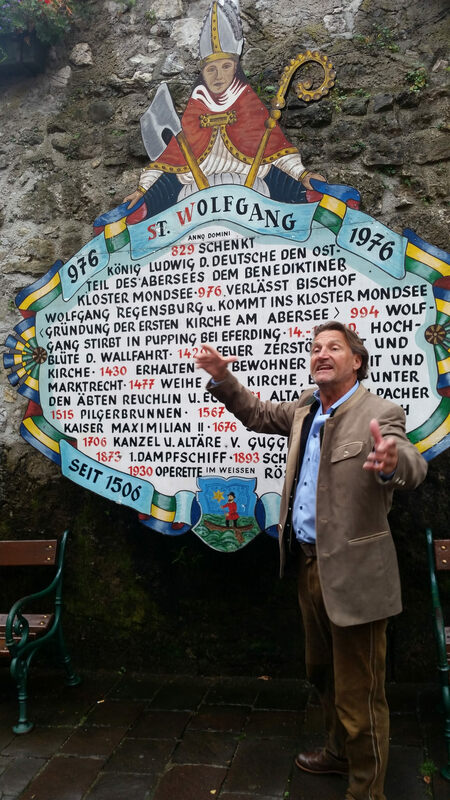 In Salzburg we had Eric, a local who led us around small towns like Hallstatt and the mountain, Grossglockner. Then we had Lazlo, who showed us around Budapest. Finally, we have had Justin as a guide for some time in different areas of Vienna. Eric had a bit of a different job than most tour guides. 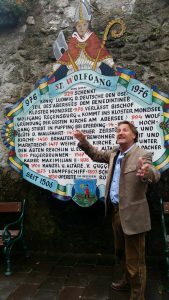 Instead of leading us around a city or giving us lots of history on a certain place, he basically was our chauffeur for two days, taking us to the mountain Grossglockner and the city of Hallstatt. He didn’t have a lot of information for us and he didn’t lead us around Hallstatt, but just sat with us on the bus and told us little tidbits of information that he deemed important. Eric had a quite unique character, and we still think about him even though it has been over a month since we have seen him. For instance, he has a unique way of dealing with children. When he was trying to speak and the two-year-old, Felicity, started whining and screaming, Eric screamed back at her! “Littlest one! I am here too! AAAAGHHH! It is my turn to talk.” We still quote him to this day. Another “Eric” moment was when we went past his house on the way to the mountain and he gave us a good glimpse into his life. Apparently it has a lot to do with his cats. He has two, and though they get on the balcony railing, they do not fall, according to him. His taste in music was also interesting. He gave us an interesting glimpse into traditional Austrian folk music with Klostertaler’s song “Ha-le-lu-ja.” Look it up sometime if you are curious. The result was hilarious and it definitely is a song that has stuck in our heads. Though he is a bit quirky we all really enjoyed having him around and we were sad to see him go. Our most recent guide was Lazlo in Budapest. He had a more traditional job and led us around the city showing us different spots of interest along the way. He had one of those sticks that are easy to spot so that we really felt like tourists. Up until then we never had a tour group like that. We always found stuff on our own or with Justin. Lazlo also taught us about the culture in Budapest and the history. Specifically he taught us that “Everything is Hungarian.” We learned to dance in a traditional Hungarian style, and we got a private boat tour that Lazlo narrated. Lazlo was just as funny as Eric, but in a very different manner. He had some obviously prepared jokes that I’m sure he tells everyone, but that’s not why he made us laugh. While we did laugh at his jokes, (and they were funny!) we really liked the general way he presented the tours. He had surprises for us if we knew answers to questions or participated in some way. For example, after embarrassingly making us learn the dance on the street in front of random strangers, he said he had a surprise. The surprise was that we got to do it again, this time with his mother-in-law singing along! She is apparently a famous opera singer, so we got to dance to her music that he played out of a tiny little speaker. We all got a good laugh afterwards. Another of his surprises was actually very tasty. He booked a last minute boat tour down the river, and narrated the experience for us. He was very knowledgeable, but the part that stands out is he brought apples from his garden for us to share. With the apples we had another dance session, but this time we used whatever music we wanted. Guten Abend, all the way from Vienna! We are beginning our third week abroad and our second week of eight in Austria’s capital city. Since you last saw us, we have stuffed our days full of every possible activity our feet could carry us to–from hiking on the Untersberg, to watching a German dress rehearsal of Spamalot, to bussing up the winding Großglockner highway, to admiring cathedral ceilings with craning necks, to navigating the Viennese subway system, to ordering food in our best broken German. 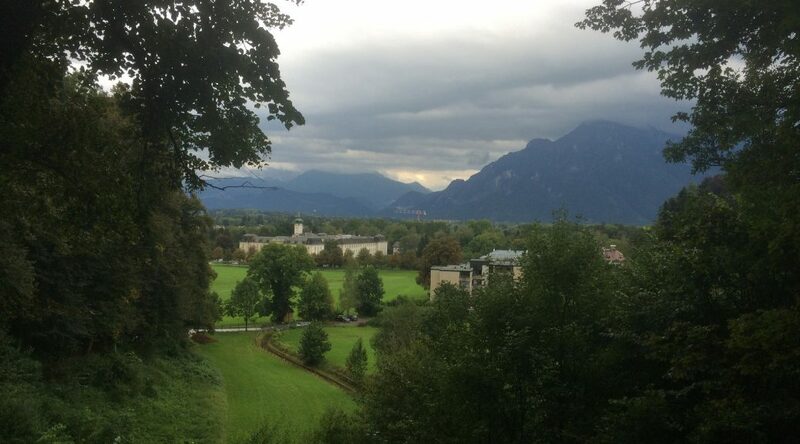 We started our adventure in Salzburg, a cozy little town off the Salzach River with a meager population of 150K. Small, right? The streets are cramped and cobbled, lined with ornate pastel buildings that boast Baroque detailing, and colorful flower boxes in every window. On my first walk downtown, I had a wonderful feeling of being in just the right place. Everything is old there: the classical culture, the buildings, the families that have lived there for centuries. Our youth hostel, Haus Wartenberg, housed Mozart once upon a time. Everything is green there, too. Haus Wartenberg welcomes as many plants as it does people. The front patio nestled quietly between the 400-year-old building and the garden with overflowing pots guiding your path to the door. Our Haus was not by any means alone in its fondness of all things green and leafy. By the end of the week, we felt like we could navigate the streets of Salzburg with ease after wandering them in search of various castles, museums, and ice cream shops all week long. While we stayed there for one short week, Salzburg introduced us well to the basic survival skills of Austrian culture. To save you the trouble of learning the hard way later, I will let you in on a few need-to-knows. First, never cross the street when the walk light is red. This applies even when there are no cars around to blow their horns if you cross at the wrong time. Austrians love to follow the rules, so breaking even minor ones like this is still taboo. I’ll admit, my rebel side came out once or twice and I crossed anyway. Second, when you enter a restaurant, do not stand awkwardly in the doorway admiring their fine wallpaper while you wait for someone to lead you to a table. Just go sit down. Then, when you are ready to pay, simply make eye contact with your waiter and say, “Zahlen, bitte!” (Pay, please!). Do not wait for them to notice when you are finished. Restaurants in Austria pay their waiters well, so your waiter will not be concerned about smiling and hovering around your table like most American waiters. Third, study your Mozart trivia before you come. 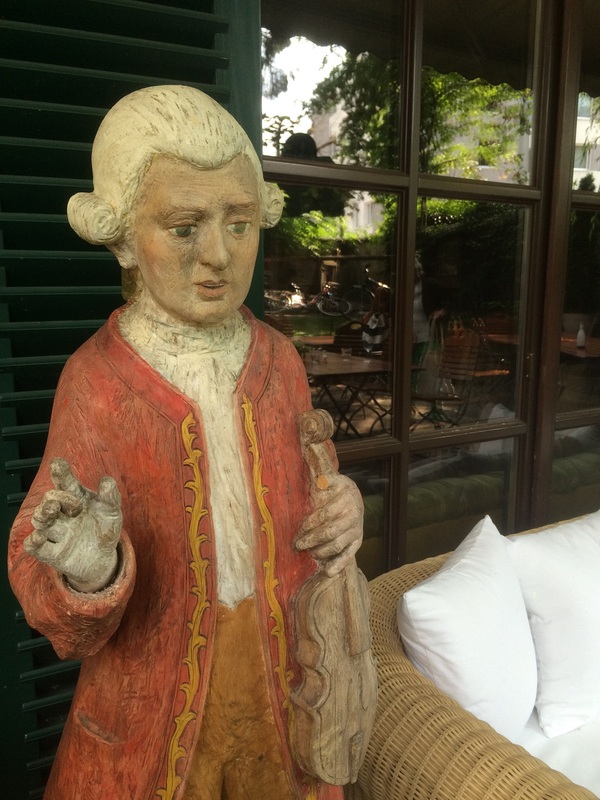 Austrians love “their” Mozart. In every grocery store you will find towering displays of Mozart balls, the classic fudge-and-marzipan filled delight for any Mozart fan, tourist or not. In Salzburg, you can tour Mozart’s birthplace and see his first violin, original music scores, harpsichord, and stand in the room of his birth. The proprietor of Haus Wartenberg prided himself on a statue of Mozart guarding his front door, insisting that we could not leave until we took a picture with his Mozart. Finally, expect to know more about The Sound of Music than the locals do. Seek out the 16-going-on-17 gazebo. 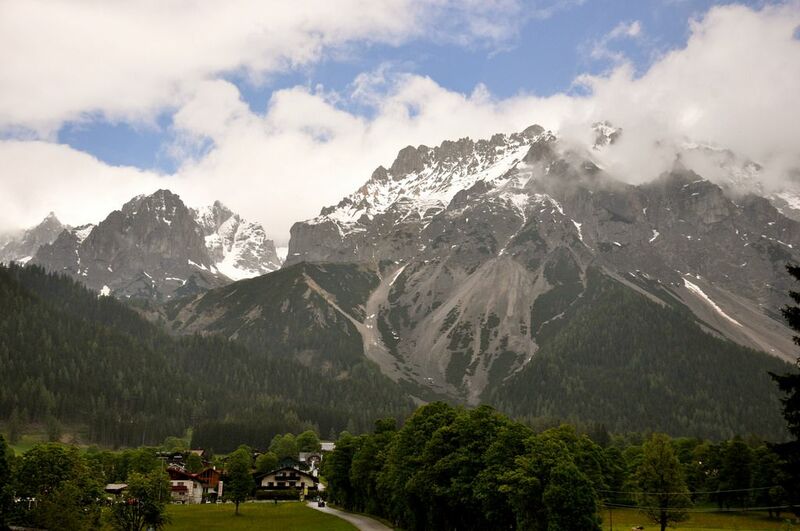 Climb the Untersberg (or at least take a cable car and then hike the last few miles). Visit Nonnberg Abbey. But while you do these things, I encourage you to take off your tourist hat and see these things from a local’s point of view. Tour Hellbrunn, the site that houses the gazebo, and explore the vast estates of the former archbishop, Markus Sittikus. Good ol’ Mark liked to play tricks on his unsuspecting guests and spritz them with hidden sprinklers. See if you can escape the tour with a dry bum. We didn’t. When you are on top of the Untersberg, sing about the hills being alive, but also look to your left and notice the structure on the mountain opposite of you. This is Hitler’s Eagles Nest. Realize that if you wanted to escape to Switzerland by climbing every mountain, this particular peak would not be the best choice. While you are in Nonnberg Abbey, sit quietly and listen to the nuns’ voices, really listen to them. The hills in Austria are not the only things that can sing. Look up and admire the Gothic details of the ceiling. 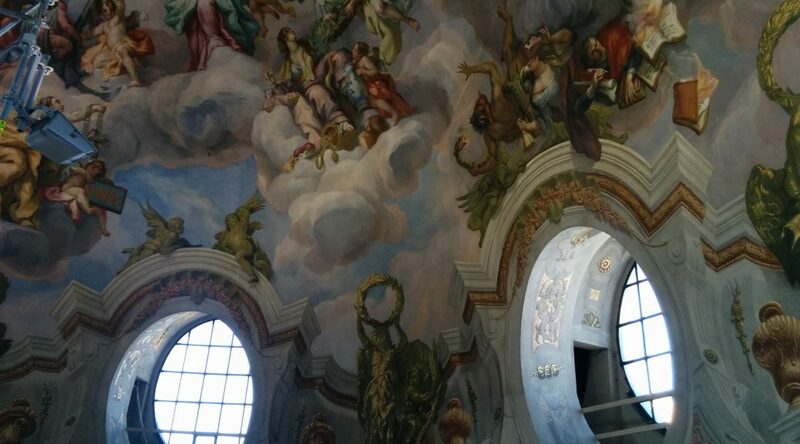 Find the Roman frescos on the back wall. Lap up the history of the air around you. We have been living in Vienna for almost two weeks, now. The difference between these two cities is tangible. If Salzburg is like your floral grandmother who loves to show you her old scrapbooks, then Vienna is your mysterious great aunt who sits by herself, waiting for you to ask the first question. Vienna is a difficult city to get to know, as we quickly discovered. As the capital of Austria, the tourist population does not interfere with city life here as much as it does in Salzburg. People live here, work here, go out for coffee with friends here. When you come in as a tourist, Vienna will show you a particular face: the Baroque facades, the sculptured gardens, the marble statues, the cathedral frescos, the Mozart-costumed salesmen who want to sell you tickets to an “authentic” concert. Yes, this face is beautiful; stunning even. But there is more to this city than pretty old things. Underneath the surface, a current of postmodernism thrives. Turn down any street in the 4th district and you will find graffiti art juxtaposed to the crisp, white windows. Wander through a tunnel off Mariahilferstraße and you will find yourself in a secluded square with brightly colored block seating and cafes all around. Watch a play in German at the Akademietheater, tilt your head sideways and say, “huh,” a few times, and you will experience a “fringe” theater performance like you have never seen before. You have to wine and dine Vienna (or at least take her out for coffee and apfelstrudel) before she will open up to you, but I think we are all okay with this. We have seven more weeks to peel back her layers and figure out what makes this city tick. Meanwhile, we have started intensive German classes at the American Institute here in Vienna. For most of us, this has been an exciting opportunity to ask the questions we all are dying to know the answers to, such as: How do you say “No onions, please”? or How do I ask “Where is the nearest Billa (a local grocery store chain)”? Or, Do Austrians really go to the theater more than they go to the movies? Our teachers have been boundlessly helpful in showing us around the city and pointing out the best things to do and see. After just one week, we are all feeling a little bit better about our ability to communicate like the locals, though we are well aware we may never have the satisfaction of fooling our waiters into thinking we are Austrian. We have seen two performances so far, Die Präsidentinnen and Dorian Gray and look forward to our first Opera together on Wednesday evening, Strauss’ Salome. At the end of next week, we will travel to Budapest, Hungary, for one of many fun weekend excursions. Things are happening, folks, and we are having a blast. Auf wiedersehen and adieu, EMU. Keep us in your prayers.